Excellent steerin wheel cover. It feels very good and comfortable while driving. The extract is good and pleasant. Excellent steerin wheel cover. It feels very good and comfortable while driving. The extract is good and pleasant. Excellent item - High quality, very tight fitting on the steering wheel of my Peugoet. Sits nice in the hand. Well packaged delivered in a reasonable time frame. Excellent item - High quality, very tight fitting on the steering wheel of my Peugoet. Sits nice in the hand. Well packaged delivered in a reasonable time frame. 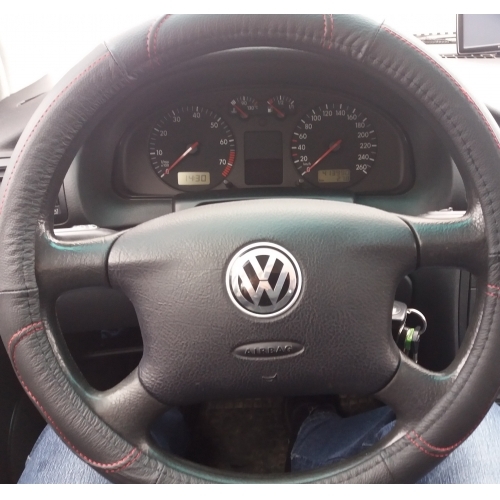 Great steering wheel, fits well. Flott ratt trekk, passer godt. Excellent quality and speed in shipping. Very satisfied with the purchase!!! Excelente calidad y rapidez en el envío. Muy satisfecho con la compra!! !